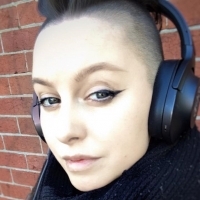 Jennifer Scheurle is a multi-award-winning game designer most known the Earthlight franchise, which received the Game of the Year award at the Australian Game Developer Awards in 2017. In collaboration with NASA’s Hybrid Reality Lab, parts of her work are used to develop training for astronauts in VR. Jennifer’s work on the physical controller set for Flat Earth Games’ Objects in Space was nominated for the Alt.Ctrl.GDC award in 2017. In 2017 and 2018, she made MCV Pacific’s 30 under 30 list for her passion and public appearances on game design UX, diversity in games and educating audiences on game development processes. Her work on hidden game design has been published by major outlets such as Polygon, Rolling Stone Magazine and Variety. In 2018, Jennifer signed a book deal with CRC Press to write an advanced book on hidden game design techniques.Currently, Jennifer is working as a Lead Game Designer at ArenaNet.